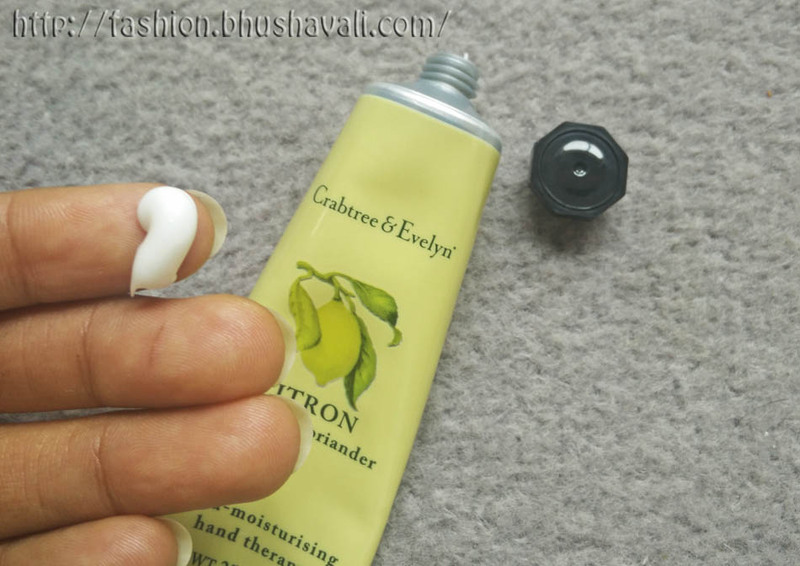 In colder climate along with lip balms, one more thing that's a necessity on the go, is a good hand cream. Though gloves are worn during actual travel, doing anything at all wearing gloves all the time is pretty much cumbersome. So mostly the bare hands and cold pretty much doesn't go well together! 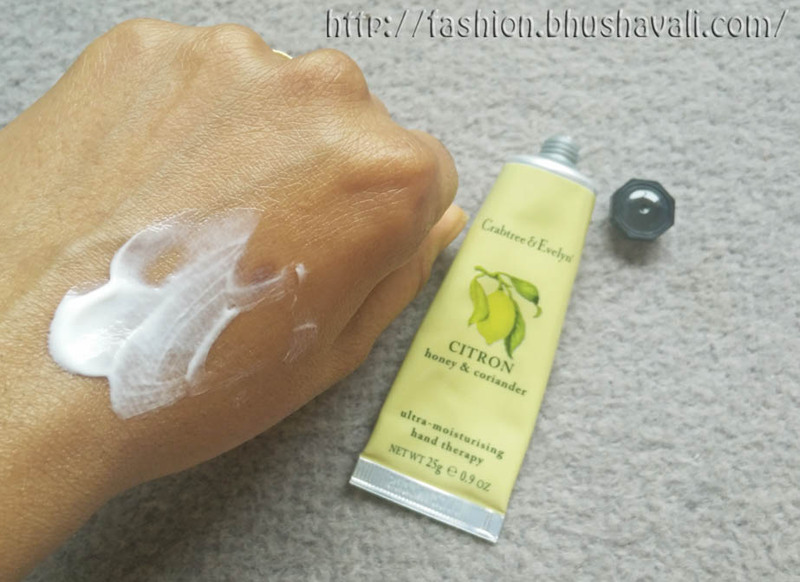 One of the hand creams that I tried in recent times and fell in love with was Crabtree & Evelyn Citron Honey & Coriander Ultra-Moisturizing Hand Therapy. First things first, the aroma.......... its just tantalizing, mesmerizing, such a pleasing thing!!! The citrus aroma of lemon and herbal aroma of coriander is a perfect blend. It isn't overpowering. Its mild and perfect. The moisturizing effect is really long lasting and hands feel so soft. The consistency is creamy and blends very well. It isn't too liquid-y nor too heavy! This packaging is kinda perfect to carry in the handbag. The twist cap is a very safe option when compared to flip cap and doesn't let the product spill. Actually the octagonal cap gives it a retro feel!!! P.S: The product was received as a gift. However the opinions are of my own experience and are this post does not to advertise the product. I feel like I can smell the beautiful scent right through my computer screen! Nice post. Citron would be a really good scent for a hand cream. It would really be good for the hand too. I really like this brand, they have awesome creams and soaps. I love their goat milk soap and lotions in particular because it smells amazing! I'm glad you're loving this hand cream! I like the way you described the aroma, I think I will like it too. You did not describe though if the lotion makes the skin feel sticky. I do not really want to feel the lotion anymore after I had rubbed it in already. 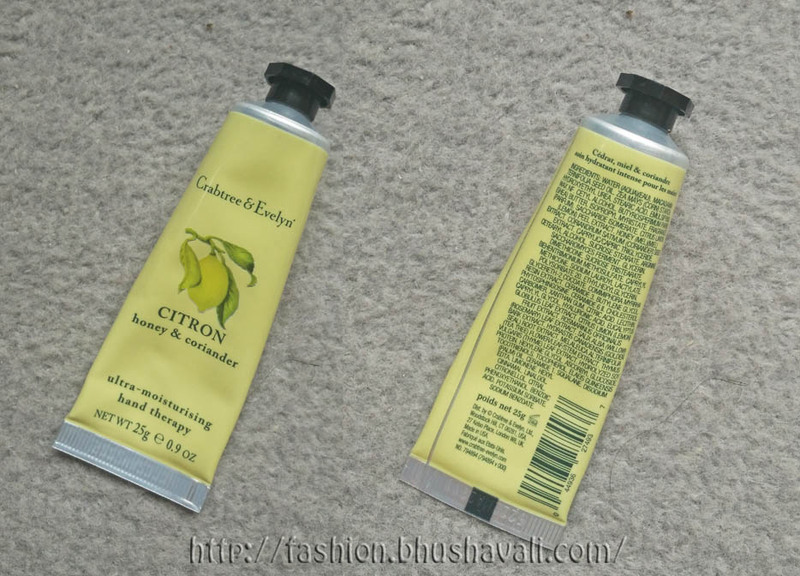 I am not particular when it comes to hand cream but I have read a lot of reviews about different hand creams. Does it work different from body lotion? Just wondering, though. This product sounds good at colder climate and great for women skin. More beauty products in the market like this one, but I think, this is great! Gotta love Crabtree and Evelyn. This one sounds specifically great as always!